The weather is pleasant in the afternoon and Odd is practising his skateboarding. The teen does some great moves, scaring all who are walking in the park (humans as well as animals) who get in his way, as he grinds or jumps rapidly. While Ulrich and Jeremy admire him, a teasing joke reaches his ears. A very attractive girl, trailed by two friends, comes to throw some rather snide talk at him. The three unknown girls are adorned with colourful clothes but have a certain charm. 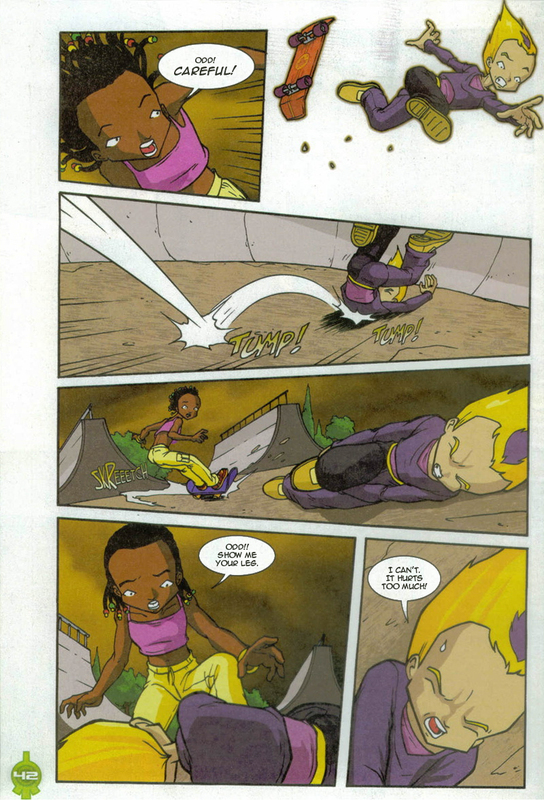 Odd takes the three protagonists in his stride but is quickly amazed when the one who teased him takes his skateboard and performs some really great tricks! Her name is Taluma, and her friends are Fleur and Maddy. 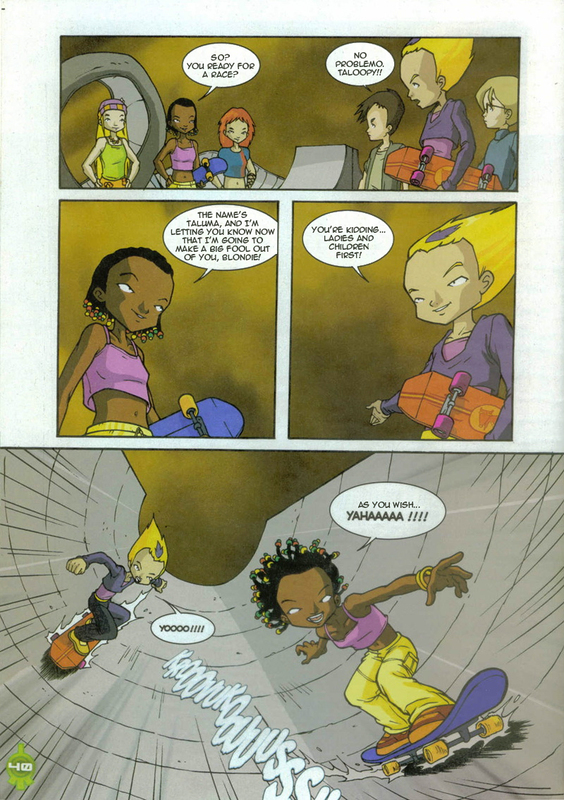 Odd and Taluma set a challenge and organise a meeting at a skate park: "The Killer Skate Park of the Dead". Arriving at the skate park, Ulrich and Jeremy are stupefied by its appearance and the mastery of skating necessary to dare attempt skate in it. Odd remains confident. He dives in to face Taluma. He breaks his leg, Ulrich calls an ambulance. The verdict is severe: a cast for a whole month. Taluma comes to see Odd at Kadic, with flowers and a present: an invitation to see eher in action! It turns out that the teen is the World Skating Champion, so it's no wonder she has exceptional gifts. The heroes find this hilarious. - Odd breaks his leg and must keep it in a cast for a month. 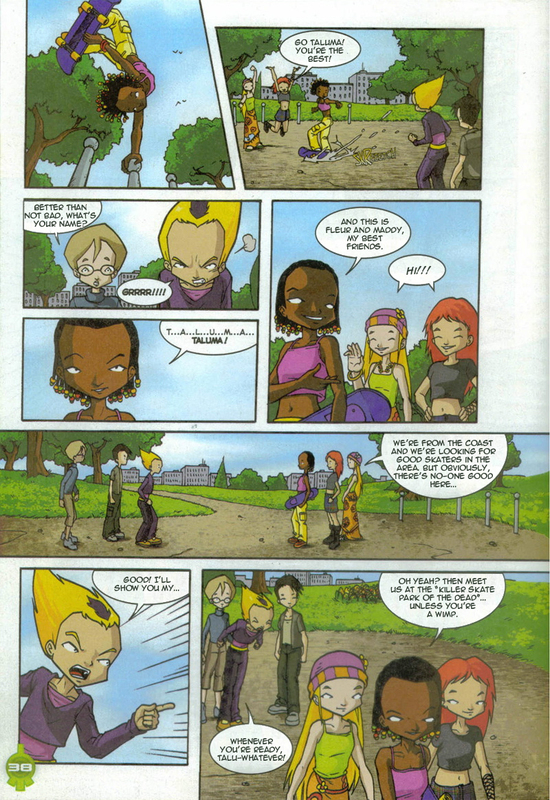 - Only appearance of comic-only characters: Fleur, Maddy and of course Taluma. - Aelita's boots are pink instead of red. 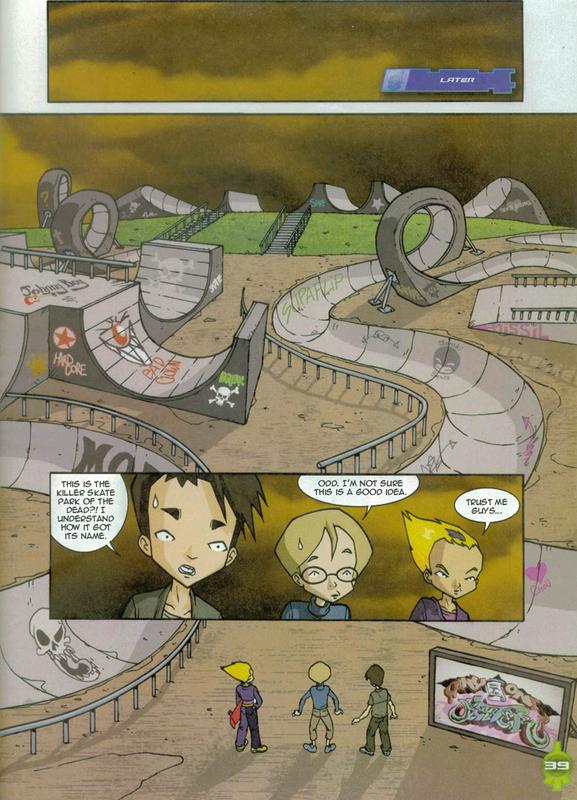 - Odd's skateboard is red instead of orange when he arrives at the "Killer Skate Park of the Dead"
- French title: Un vrai casse-skate! 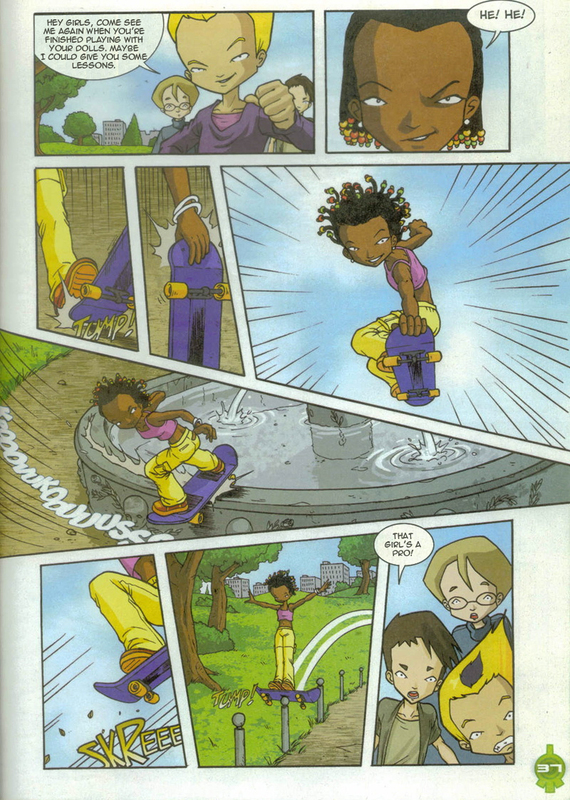 - We can see an allusion to the cartoon in that Taluma strongly resembles Samantha Knight (skin colour, likes skating, special style). - Odd: "Ladies and children first!" "Women and children first" is a stereotypical phrase concerning boats and ships out at sea when the ship must be evacuated. Odd: Yeah guys! 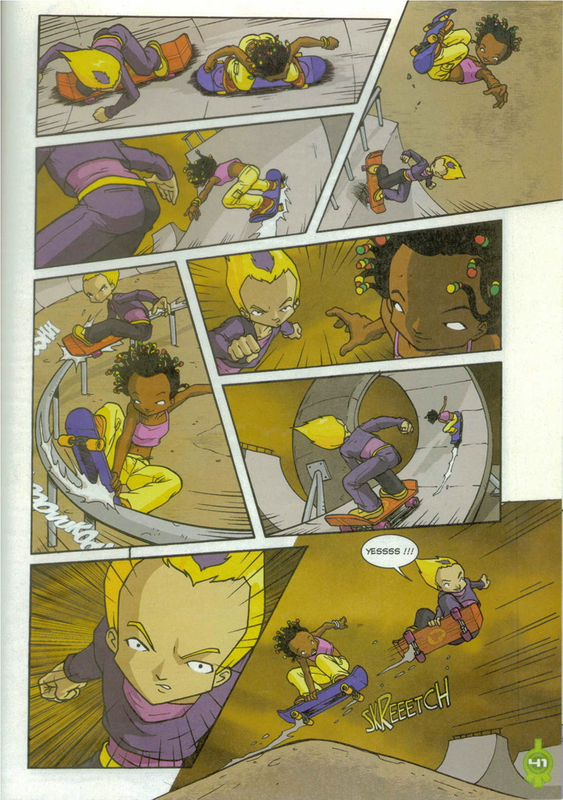 Skateboarding's even better than being in a virtual world! Odd: Hey girls, come see me again when you're done playing with your dolls. Maybe I could give you some lessons. 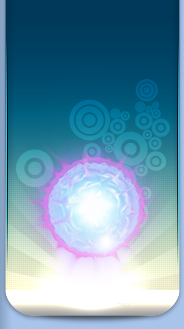 Taluma: The name's Taluma, and I'm letting you know now that I'm going to make a big fool out of you, blondie! Odd: You're kidding…ladies and children first! Odd: You're skating world champion?